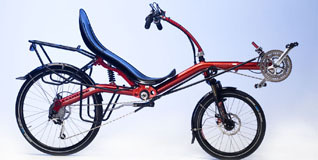 Challenge Touring Recumbent series feature a more "level" bottom bracket (or crank) position. This format provides higher more upright seating, friendlier urban dynamics - easy for frequent start/stop situations - and a great touring platform, balancing well with a load. 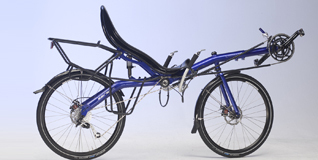 The Seiran and Ventus feature a suspended rear swing arm of the Challenge "split tube" aluminum design which reduces weight and makes an elegant form while smoothing out the bumps. 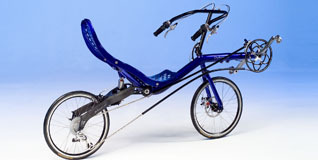 An ultra flexless "spine" behind the seat gives seat support like no other recumbent, built in rack mounting infrastructure for a day rack or four pannier Challenge Voyageur rack systems, and slide adjustable seat angle fittings. The carbon rear swing arm of the Mistral SL combines ultra light weight with the surprise of a silky smooth suspension ride. Perfect for day and week-end trips. 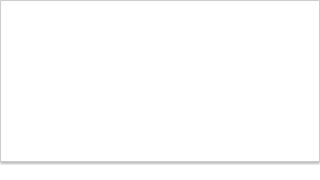 AVERAGE WEIGHT 57 cm / 22,4 " or 62cm / 24,4"
AVERAGE WEIGHT 49 cm / 19,3 "
AVERAGE WEIGHT 52 cm / 20,5 "